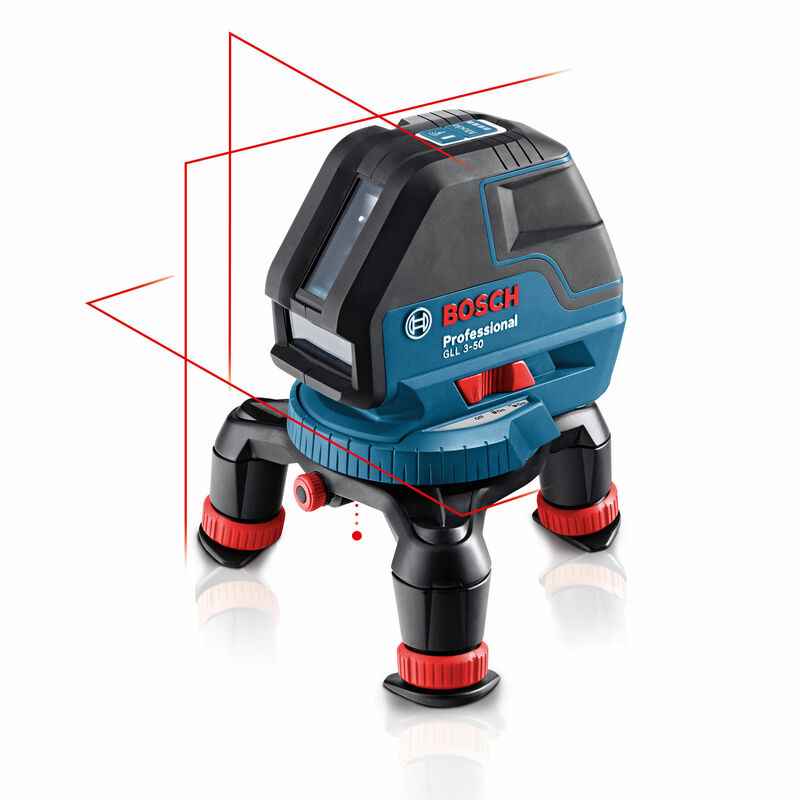 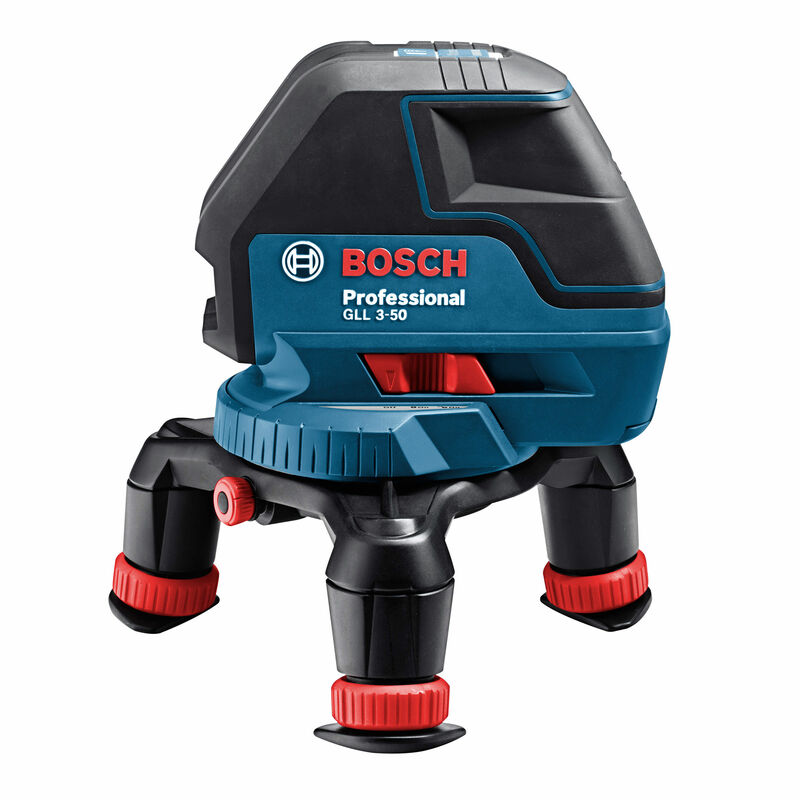 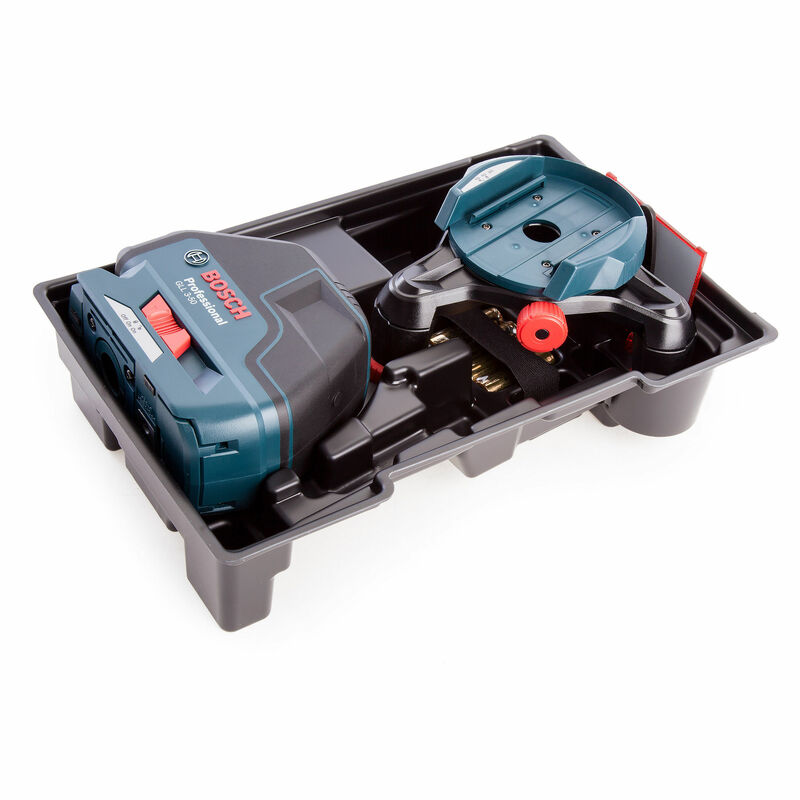 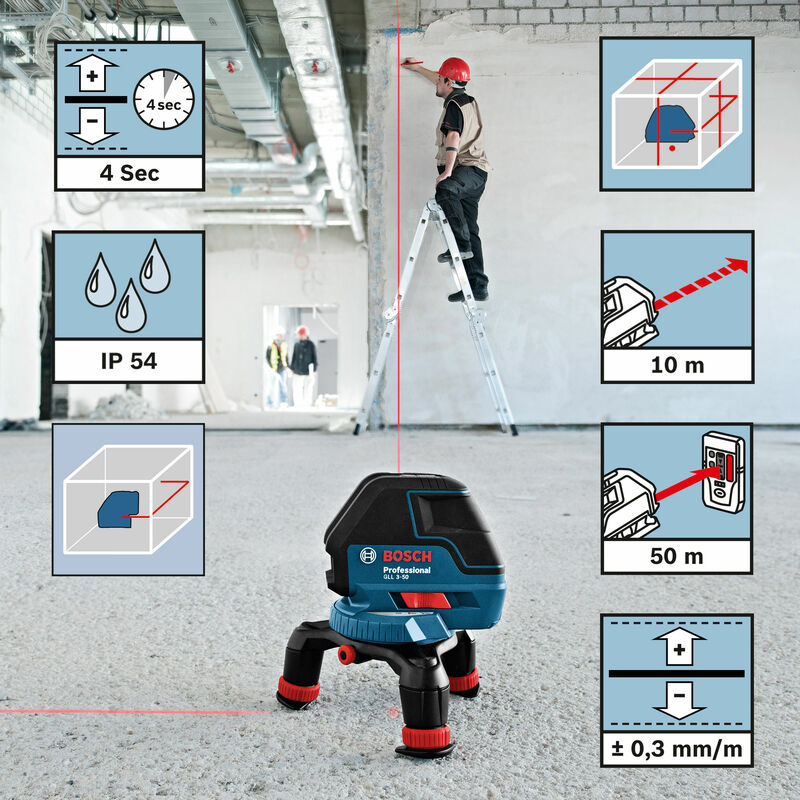 The Bosch GLL 3-50 is the easy to use complete solution for all levelling and transfer applications. 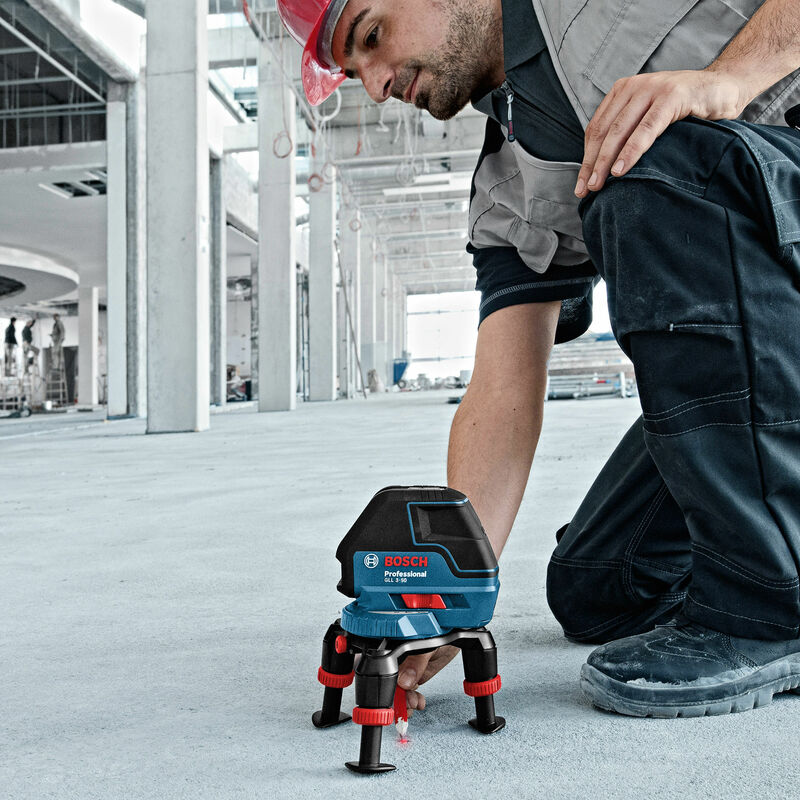 The perfect tool for horizontal and verical alignment, squaring and plumbing. 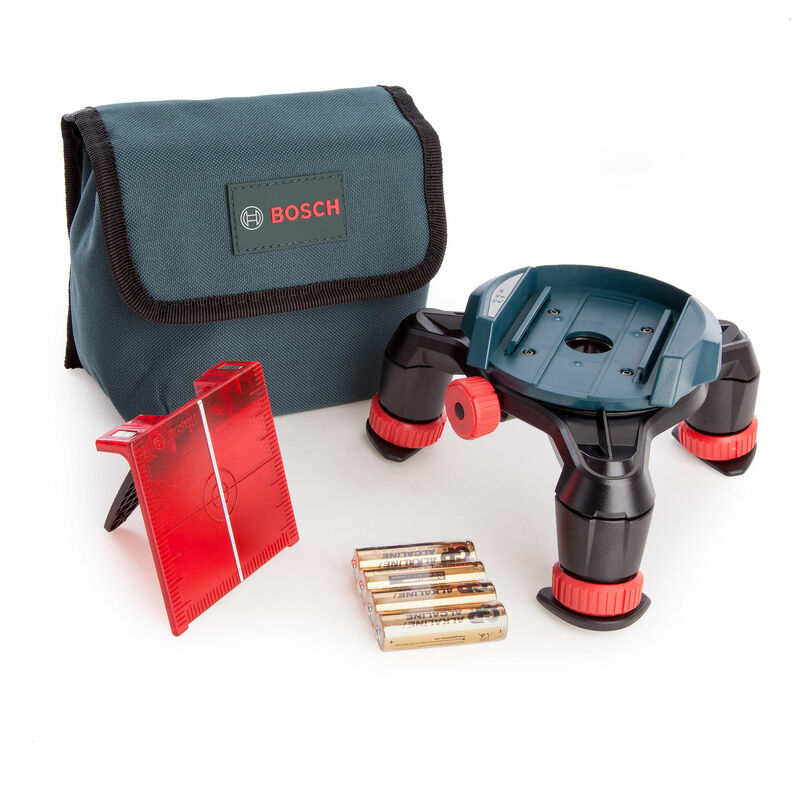 Comes with Mini Tri-Pod, Target, Canvas Case with Belt Loop, 4 x AA Batteries and L-Boxx Inlay. 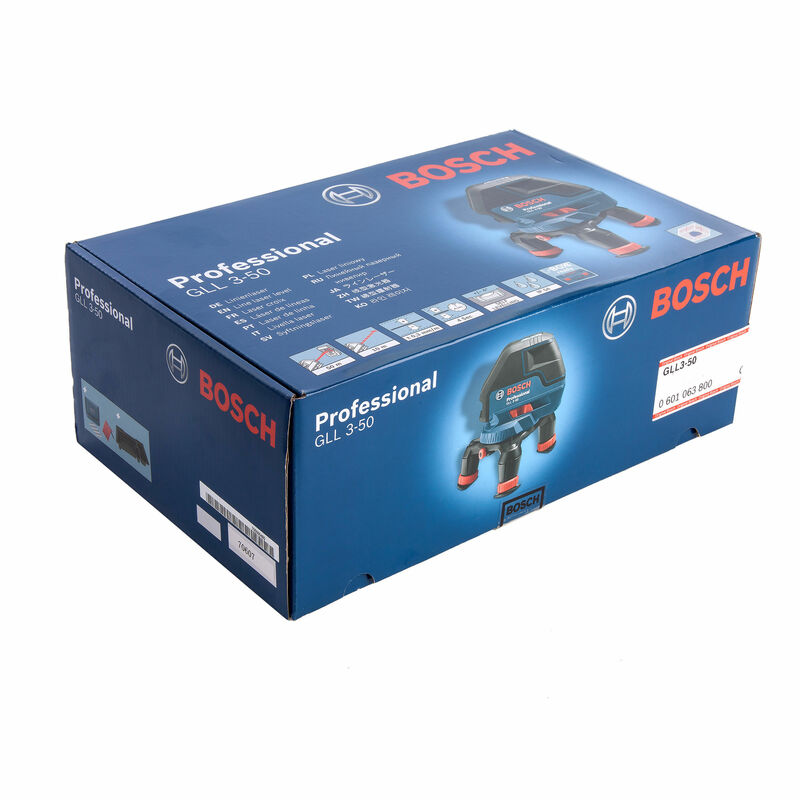 Sold in a cardboard carton.